Contact us today to get the latest updates about upcoming events and to book your reservations at the best restaurant in San Diego. 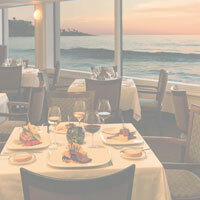 The Marine Room houses over 75 years of celebrations, milestones, and memories with the beautiful La Jolla waves creating a dramatic, yet tranquil backdrop. Please stay in touch or inquire about a special event you would like to host. Our dedicated staff members will be happy to assist in every way possible.